Have you ever tried to go down the aisle in your supermarket and there is some strange woman with her cart in the center blocking everything? Yes, that was me for about 30 minutes as I waded through the liquid jungle of pasta sauce. Wow. There are so many choices!! I went back in 2017 and wrote this post - Low Sugar Tomato Sauce - check it out for a review of the latest brands. I compared jars (not cans and not the fresher products in the coolers). I tried to pick ones that are available nationwide. I aimed for a low price point ($2-$3.50 per jar). Why did I like this? I hate sugar in pasta sauce. It makes it taste like ketchup. When you don’t add sugar, it tastes better AND it makes it lower in calories. 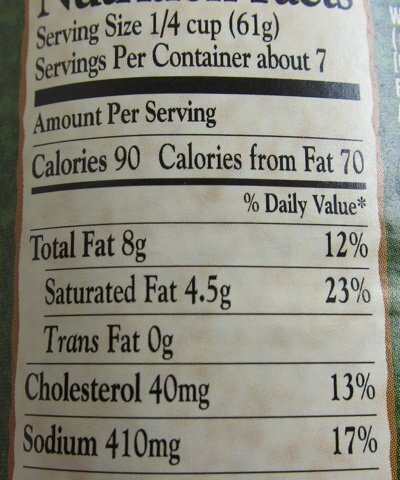 This one was lower in fat as well and the amount of sodium was a good 50-100 mg per serving less than many of the other brands. INGREDIENTS: TOMATO PUREE (WATER, TOMATO PASTE), DICED TOMATOES IN PUREE, ONIONS, SALT, OLIVE OIL, GARLIC POWDER, ONION POWDER, SPICES, BASIL, NATURAL FLAVOR. I wish they used actual garlic instead of garlic powder, but what can you do? This tasted good to me and I am glad that I found it (because I will use it). Now for the worst sauce. My criteria was too many calories, grams of saturated fat, and milligrams of sodium. We could all use less of these, no? The serving size here is ¼ cup. Get out your ¼ cup measure and ask yourself if this is how much alfredo sauce you would eat. I HATE comparing stuff like this because I have to do math in my head. Obviously, comparing a tomato based sauce to cream based sauce wasn’t really fair (sorry, Paul). 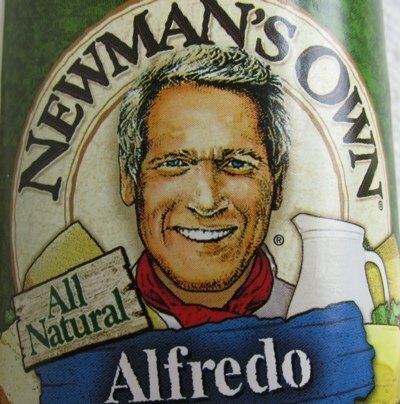 Newman’s Own was the worst of the alfredo sauces. Perhaps, I will stand there again and find the worst tomato sauce (too many grams of sugar, fat, and sodium). I definitely will not wear heels because it will take a while. Check out my Pasta and Zucchini Recipe if you want to skip bottled sauce all together and create a fast, delicious option. Your too funny! Poor Paul!! I didn't know they made a Light Ragu pasta sauce. I'll have to look for it at the store. Wow! I haven't bought sauce in a while, we make our own tomato sauce. But I do buy alfredo. I'm thinking I should add that to my list of things to try to make from scratch. Really in all fairness you are comparing tomatoes to cheese. I've recently discovered Muir Glen pasta sauces, and while I do make my own I really like these. They taste great. How healthy they are? Well, for the one I have right now, Garlic Roasted Garlic, the ingredients are pretty good and the numbers look good too. Try them, at least it is organic. Making your own sauce is the way to go. It tastes way better and freezes well. We make big batches of it and store it in wide mouth mason jars or bags in the freezer. I admit though if I'm in a pinch on a week night and don't have any I reach for store bought, but what a difference in taste! 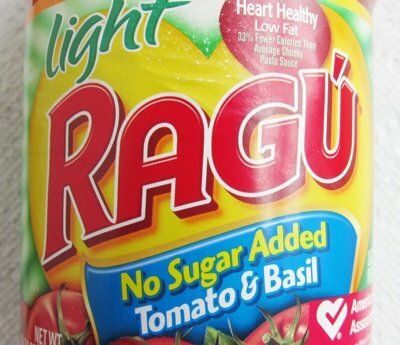 I have used the Ragu light for years and we love it. You forgot a rather important criterion: taste. Ragu tastes like sh__. I have used the Ragu No Sugar Tomato and Basil since it came to our shelves a few years back. I LOVE it. Great choice. First I need to say I love getting your emails. Now for sauce. I make my own. I start with 28 oz of tomato puree and go from there. It's 1 pointsplus for 1/2 cup and tastes just like my grandfathers. I agree that Ragu isn't the best tasting sauce. 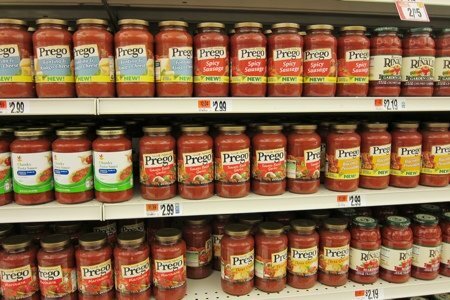 We use Prego Marinara (NOT PREGO TRADITIONAL which is more widely available). Ingredients: Tomato Puree, Diced tomatoes in tomato juice, canola oil, salt, dehydrated onions, dehydrated garlic, spice, citric acid. Nutrition: Calories 80, Fat 3g, Sodium 480mg, Fiber 3g, Sugars 7g, Protein 2g. It tastes delicious, the kids love it and it is reasonably healthy. I urge everyone to give it a try. Another vote for Ragu Light. When I buy sauce it's my go to brand. When I don't make my own I use Francesco Rinaldi/Tomato and Basil. I like it's fresh tomato taste. Bwahahahaha Pamela, I thought the same thing to myself. No matter what the numbers on the label say, I will have to pass. We used to favor Francisco Rinaldi - no salt added, but since we don't eat cheese anymore (and it contains Romano), we've taken to making our own sauce. My favorite is the Emeril line- my #1 is his tomato and basil! So delicious! Often, natural flavor is a cover name for MSG.